With these four different UV-bands plus the total UV band, most of the measuring requirements of UV curing applications can be covered.Due to its four different UV sensors and the integrated microprocessor the UV-4C Logger can measure, record and display the peak of the UV-energy (mW/cm2) for each UV-band individually plus the peak of total UV energy. Additionally, this UV-Logger is calculating the UV-dosage (mJ/cm2) of the UV energy supplied during the time of exposure of one measuring cycle. The UV-dosage is calculated for each UV-band (UV-A, UV-B and UV-C or UV-V) individually and as total Integral of UV-dosage over all three UV-bands. This allows to determine not only the total energy, but also how that energy is delivered, i.e., what intensity and dose at what UV-band. *This Microprocessor Logger features a selectable "triggered mode, i.e. the 30 sec recording cycle starts within a 120 second readiness phase not before the incident UV-intensity exceeds 2 mW/cm. 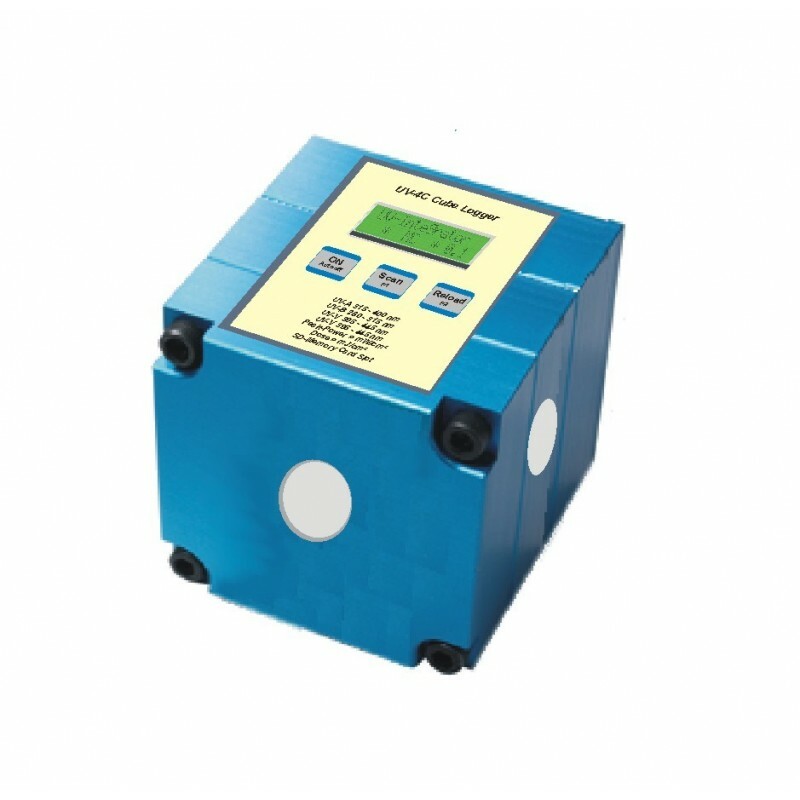 While on the conveyer belt, the UV-4C Cube Logger can withstand max. 230 F / 110 C for up to 10 seconds. The temperature of the housing should not exceed 113 F / 45 C.